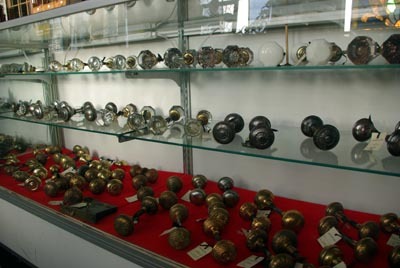 There are many different types of doorknobs out there. From plain Depression-era metal knobs to late Victorian Eastlake knobs. Our knobs are all in working order and priced competitively! Does your house have hardware that seems to be a lost cause? Check out our Hardware Restoration Service.